by entering your cars make, year and model. You will see every color for your specific make and model. 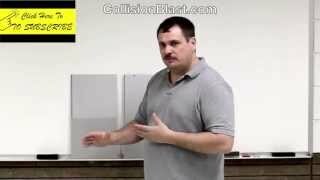 The methods shown in the videos are basically the same as you normally would use when blending using a spray gun. I have a video that explains why blending is necessary and how it works. Be certain to pay attention to their masking instructions. Taping squares will not look good…this will be very noticeable and will not match correctly. This is true with aerosol cans or spray guns. 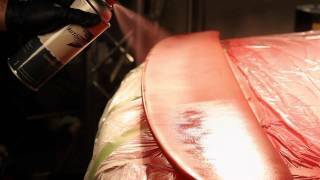 Blending automotive paint is a techniques used to fade the new color into the original color to give you the illusion of a perfect color match. It is necessary to blend metallic and pearl colors in order to have a good match in most cases. 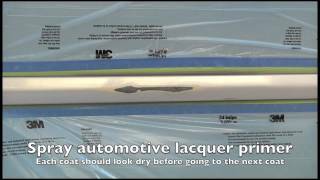 Use a blending technique to make an automotive paint repair look less obvious with a comparison to a car paint repair done incorrectly by masking off a small section. 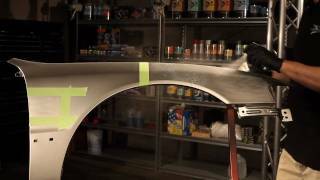 This video shows bondo body filler and spot putty techniques. We then refinish with some touch up paint. Scuffs are common on any bumper. Here we show how to spot repair a scuffed bumper using this Porsche Cayenne and our premium quality aerosol spray paint as an example. Clearcoat was delaminating (flaking off) from this OEM red Ford ZX2 spoiler which is very common on older basecoat clearcoat paint jobs. Here we show how to repair it. Extra tip: try to remove all of the old clear. It didn\'t hold up to sunshine and water. Putting fresh paint over the chipped paint can make the old clearcoat wrinke up. Repairing Honda Civic door trim using AutomotiveTouchup.com aerosol spray paint.